A delicate balance exists between a beneficial stress response that enhances memory and recall performance and a detrimental high stress response that impairs memory and learning. Repetitive training in stressful situations enables people to lower their stress levels from the detrimental range to a more beneficial one.1 This is particularly true for physicians in training as they seek to achieve advanced skills and knowledge in the fields of triage, emergency medicine, and surgery prior to graduation. This need is significant for medical students entering military service after graduation. We theorize that military medical students can advance their proficiencies through an Intensive Skills Week (ISW) prior to entering their third and forth year rotations. To test this theory, Rocky Vista University will hold a week long high-intensity first-responder, emergency medicine and surgical training course, facilitated by military medical physicians, to further students' skills and maximize training using the Human Worn Partial Surgical Task Simulator (Cut Suit). 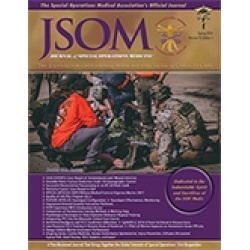 We also see the possible benefit to physician and non-physician military personnel, especially Special Operations Forces (SOF) medical personnel, from developing and implementing similar training programs when live tissue or cadaver models are unavailable or not feasible.